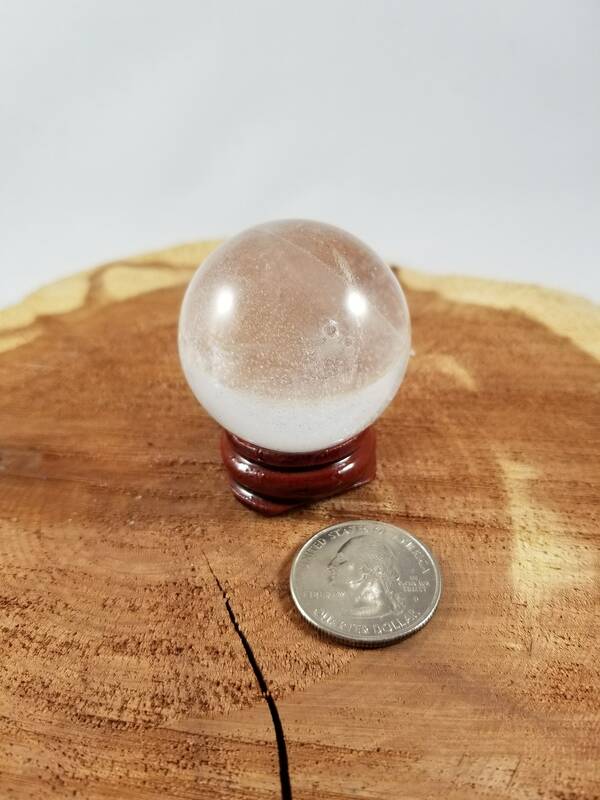 This listing is for a 40 mm Clear Quartz Yoni Sphere w/ stand! 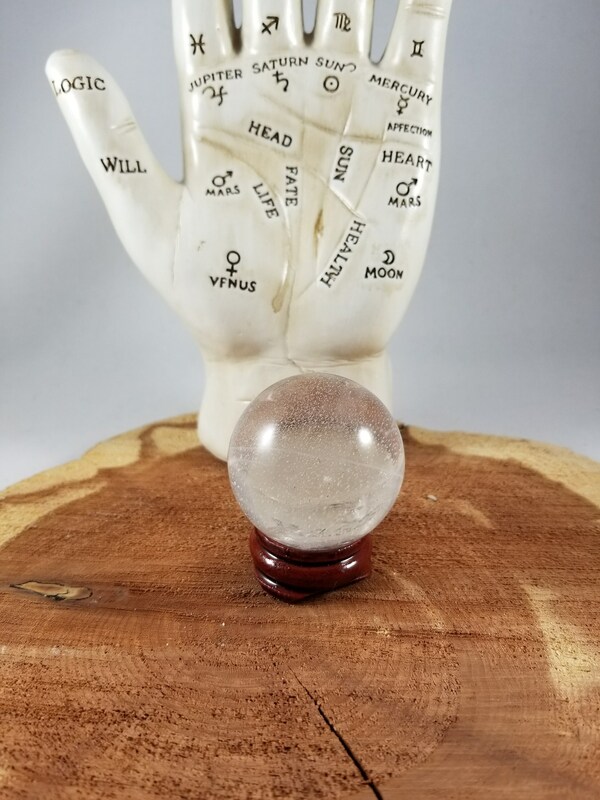 Clear Quartz is one of the few stones that works with all the Chakras, and Zodiac signs. It helps to raise vibrations, and cleanse a foggy Aura. 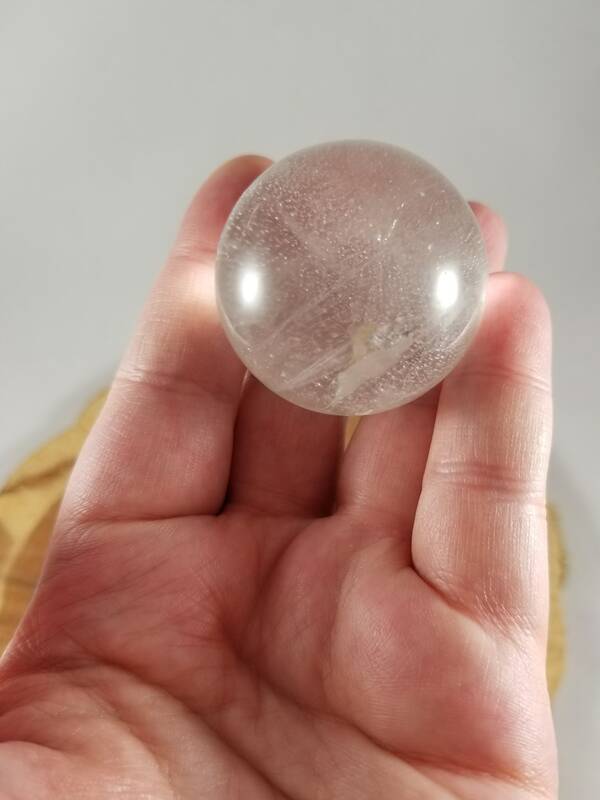 Clear Quartz is known as the "Master Healer" of the mineral kingdom, with it's very high vibration, and is the most versatile healing stone among all crystals. Quartz is said to be the most powerful healing stone of the mineral kingdom, able to work on any condition. It is believed to protect against negativity, attune to your higher self, and relieve pain. Quartz crystals are very programmable and have a tendency to hold a program much longer than other minerals.